Hi everyone I'm Jack Red, today let's talk about the very games to help get me more into Mortal Kombat series. Believe it or not, I didn't start on Sega Genesis. I originally got to play Mortal Kombat 1 on SNES sometime before the Genesis version. I also did play MK3 on the same console, which I ended up playing more. As time went on, I ended up getting all four Mortal Kombat games on Sega Genesis. I can honestly say these games for the most part are worth picking up. In fact, most of these are better than many ports around the time. I hope I can truly do this justice since these help got me into gaming at such a young age. Perhaps the second version of MK1 I played but it still is my favorite version. A lot of people criticize how the music sounds while I honestly couldn't get enough of it. Although SNES port did have better graphics, Nintendo made the mistake of not having blood in the game. This is similar to not allowing fatalities for DC heroes in Mortal Kombat vs. DC Universe. Which also came at the cost of toning down the fatalities too much. Thankfully this led to Injustice series that I highly recommend. Yes it is true you do need to enter the blood code differently from the main code. At least Sega allowed blood in their version to make it more faithful. You may not be able to pause the game like some ports. Cheating wise it is very well done. Personally I would use it to get infinite continues. Not for beating it but to simply make it more faithful to the arcade classic. This was one of their absolute best fighting game ports on the console. Mortal Kombat did a great job with Test Your Might mini game. I am glad I got it on a handheld despite AtGames was the company that made it. By this point Nintendo made some changes to allow blood in their later MK ports. There is many reasons why Genesis port loss against the SNES version. Probe surprisingly didn't get a lot of it's content in that port. Come on they did Primal Rage better despite that being based on the version before the update came out. Which some of the later ports took advantage of. In that version of Primal Rage, a combo system and more moves including finishers. It was likely the reason why many people prefer SNES port. Personally I am a bigger fan for Genesis port. I still respected Console Wars on why SNES port won. Mortal Kombat II did miss the ball. Most of it's presentation was missing including the intro. They replaced Goro's Lair level with Portal Level that's differently colored. I do agree the gore doesn't seem right in this version. Obviously is missing a lot on the audio side. Test Mode is better than the main cheat of MK1 on the same console. Not only every code is labeled but also makes it easier to leave the options. Mortal Kombat II isn't perfect on Genesis but many can agree on several things about it. Cheating wise it is sorta better than SNES port. Originally you have to win 50 times to face Noob Saibot. But in this version it got reduced by half making it 25 wins. I think most people agree the soundtrack simply sounds better than SNES version. Was I angry Console Wars gave the win in audio category to SNES version? Nope not really, they made great points. This port also has a console exclusive finisher called Fergality. This requires do enabling Oh Nasty option. You have to play as Raiden on the Armory level. Remember the combination of buttons to press at the end of match. You transform your opponent into Probe's president. Probe does a lot of similar theme easter eggs in games. For example in Genesis port of Primal Rage, you can give Diablo a exclusive follower. In Die Hard Trilogy for Die Hard 2: Die Harder portion. By doing a code, everyone has his face lol. Even MK1 on Genesis referenced him. Not many people knew this at the time. A few ports SNES & Genesis allowed both boss characters to be playable. But only for versus matches among players. It is possible through game genie to hack the game into playing as them outside it. Another added feature in these ports was brutalities. A new finisher that was added in most versions of Mortal Kombat Trilogy. This was the only time SNES developers of the first two MK games made it's Genesis port for this franchise. Obviously it has happened many times both ways by many game companies. But the thought of Probe dropped the ball to force another team up for the task. They had to quickly developed both SNES & Genesis ports in a few months is amazing. You can play as Robot Smoke with a code. Difficulty wise parts of it is much easier than the previous two MK games on the same console. Mortal Kombat 3 surprisingly has a different set up for cheats. I would say based on what I do remember playing SNES port. It did look & sound better than this version. Although audio wise it was still great for the console. Mortal Kombat 3 also had a exclusive mini game that later got in UMK3 on the same console & MKT on N64. This was their version of a personal favorite of mine, Galaga. Yeah Mortal Kombat 3 has Galaga that is playable a few ways. Sadly Noob Saibot is horrible in most versions of original MK3. He is Kano covered entirely in black with no special moves & finishers. They chose to do this since most ninjas were absent in this version. If they had to use a character to do Noob Saibot, it should be Sub-Zero. Especially when Noob Saibot's identity got revealed several years later. What I'm trying to say this doesn't make any kind of sense at all. I will say this is a solid port of MK3. I do recommend people giving it a try but I do prefer it's SNES port. Which is rare for me to do since I'm a Sega fan. Mortal Kombat 3 does lack infinite continues unfortunately. Just like most versions of MK3, Shao Kahn is incredibly cheap as hell. Thankfully doing Sub-Zero's method of defeating him is much easier. 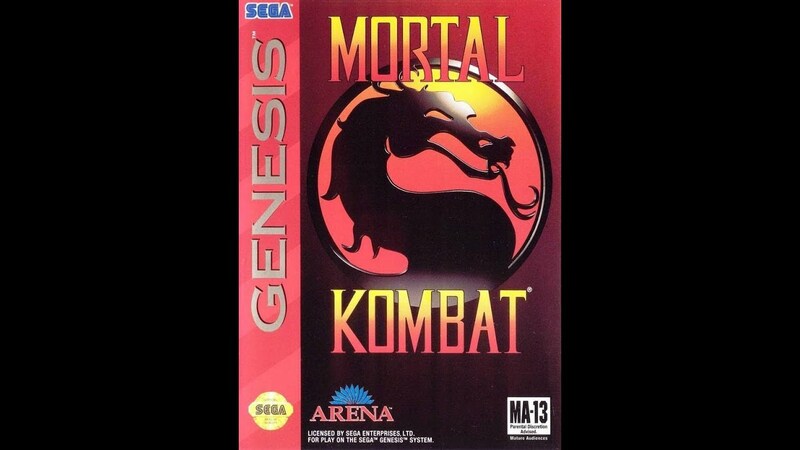 The final MK game to come to Sega Genesis late in it's run is Ultimate Mortal Kombat 3. Please allow me to state a common fact among MK fans but not so much for many gamers. Most ports of this game maintains having Classic Sub-Zero, Ermac and Mileena being hidden characters. You have to get game over then you either good enough to do the codes with two hands or with a friend. There is a slight chance you can unlock these characters. In some of their later ports, you could have them remain unlocked for future plays. Although it is incredibly easy to screw up. Why is this so important to talk about you might be wondering? In both SNES & Genesis ports, those characters are already unlocked. Oh wait I'm not done yet they added two new ninja characters. Noob Saibot & Rain that keep appearing in later games. Thank frickin god they fixed him in later versions of MK3. Some people often consider him among the cheapest of characters while others are a huge fan of him. There's a few interesting things about the other character Rain. For a brief second in the arcade version during the intro you see Rain fighting someone. Many people really tried finding him to found out he wasn't actually in the game. This is similar to people claiming Ermac was in MK1 due to a strange glitch in the arcade. This glitch forces you after your victory to fight a red colored Reptile right afterward similar to Goro after the final endurance match. Both of these led to Ermac & Rain to officially become characters in this game. Rain is also a reference to a particular album The Artist Formerly Known as Prince done called Purple Rain. Up til recently, Rain was one of the most disliked MK characters. I am not a expert in this but some things from the previous MK3 ports got replaced or removed altogether. For example Sheeva got removed off the roster in both Genesis & SNEs ports. The reason behind this is still a mystery to this day. Animalities that were in MK3 are absent in UMK3. Oddly enough a different team made these ports from the previous developers of most SNES MK games and Genesis MK3. Majority of what MK3 had is incredibly similar in UMK3. What I meant to say nearly identical even down to the cheat options. 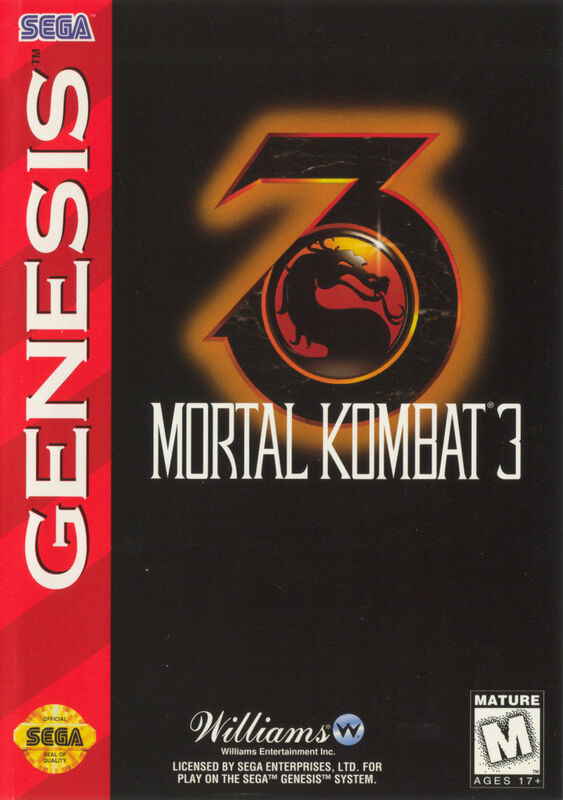 Ultimate Mortal Kombat 3 on Genesis is my favorite version of UMK3 for many reasons. So what it is missing stuff, it technically has a few more levels than it's SNES counterpart. In fact most later ports of UMK3 doesn't hold up as much as this one. Also how can you argue against that cover artwork alone? This port is truly amazing in what it does bring to the table. Possibly one of the best fighters on the console in my opinion. I highly recommend checking this version out.